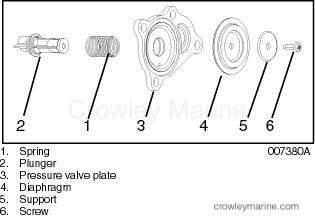 Use this instruction sheet when installing the above water pump impeller kit on 2009 and newer Evinrude E-TEC® 25 – 30 HP outboards. DO NOT install on any other models. 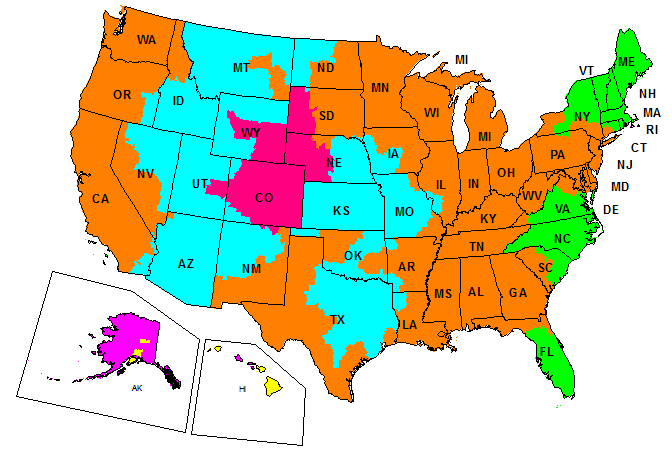 Indicates a hazardous situation which, if not avoided, could result in minor or moderate personal injury. Install only the impeller assembly and key. Discard the springs. Install the impeller assembly and key. Refer to the appropriate Service Manual or the instruction sheet provided with water pump repair kit, P/N 5008191. 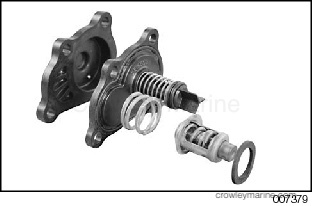 Additionally, install the pressure relief valve and thermostat springs provided in this kit. 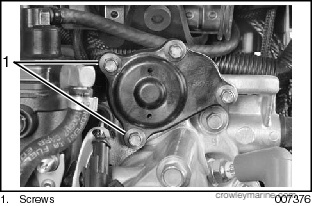 Remove thermostat and pressure valve cover from cylinder head. 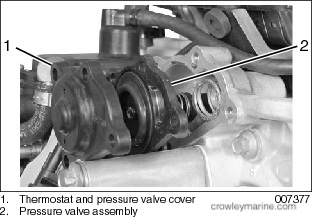 Remove pressure valve assembly. 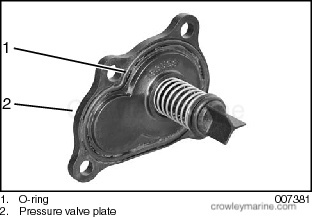 Remove spring, thermostat, and thermostat gasket. Inspect all parts for cracks, heat damage, or signs of corrosion. Replace damaged parts. Clean debris from housing and parts. Remove screw from plunger. 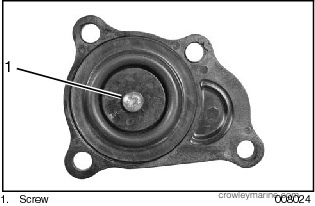 Remove plunger and spring from pressure valve plate. Assembly is the reverse of disassembly. Pay close attention when performing the following tasks. Install spring, P/N 355169 on plunger. Align plunger to pressure valve plate. Place diaphragm and support on pressure valve plate. Install screw. IMPORTANT: Turn self-tapping screw counter clock-wise to start the threads. Then turn screw clockwise to tighten. Failure to follow this procedure can damage the threads of the plunger. Apply a light coat of Gasket Sealing Compound to the o-ring and place in the groove in the pressure valve plate. Install thermostat gasket, thermostat and spring, P/N 355209 into thermostat housing. Install pressure valve assembly into housing. 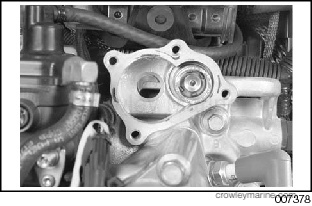 Install thermostat and pressure valve cover on cylinder head. Apply Nut Lock to screw threads. Tighten screws to a torque of 84 to 106 in. lbs. (9.5 to 12 Nm).